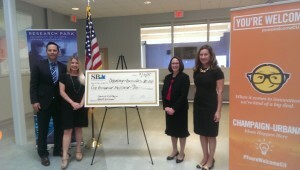 The U.S. Small Business Administration was in town this morning to present $100,000 total in awards, including $50,000 to the City of Champaign, one of SBA’s 28 Startup in a Day winners, and $50,000 to EnterpriseWorks at University of Illinois Research Park, one of Illinois’ four Growth Accelerator Fund Competition winners. These awards will help boost Champaign-Urbana-area small business growth and economic development by supporting the collaboration of government offices, educational institutions, and public-private partnerships. The SBA’s first-ever Startup in a Day Competition was created to help U.S. cities simplify the licensing process so entrepreneurs can startup in a day. In total, $1.6 million was awarded to 26 cities, including Champaign, and two Native American tribes. 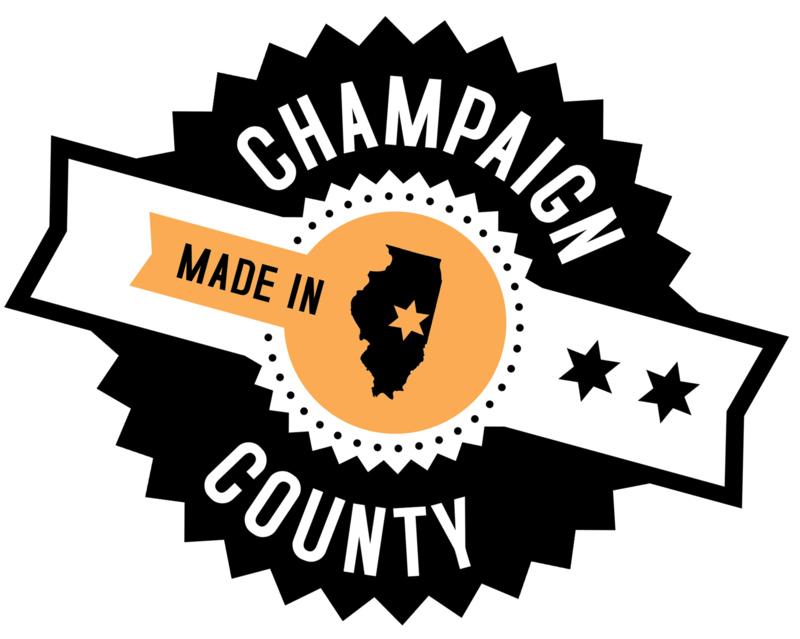 The City is receiving $50,000 for its Virtual Incubator Program, which is a partnership between all local agencies providing entrepreneurship services throughout Champaign County. The Virtual Incubator is to be managed and coordinated by the local Small Business Development Center, which is supported by the SBA and based out of the Champaign County Economic Development Corporation. EnterpriseWorks received a $50,000 to help fund its successful I-Start program, which accelerates the technology commercialization process for university startups with access to various resources in their ­first year. Since the Growth Accelerator Fund’s inception in 2014, more than 5,100 jobs have been created or sustained, more than 1,450 startups have been served and approximately $600 million of capital has been raised by the startups.